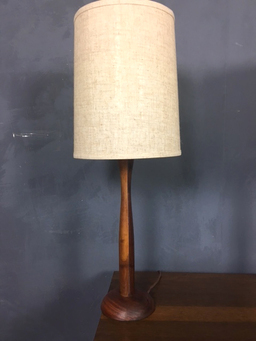 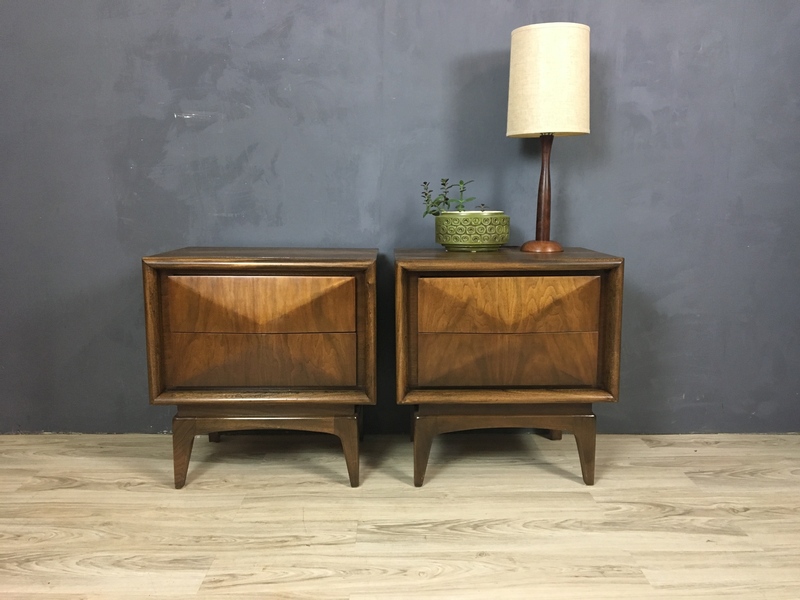 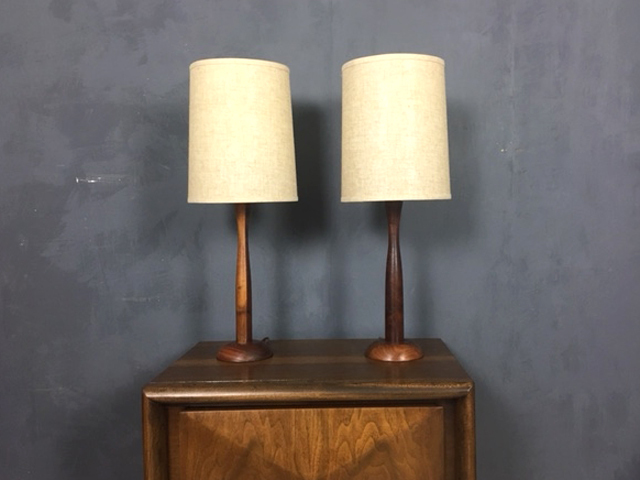 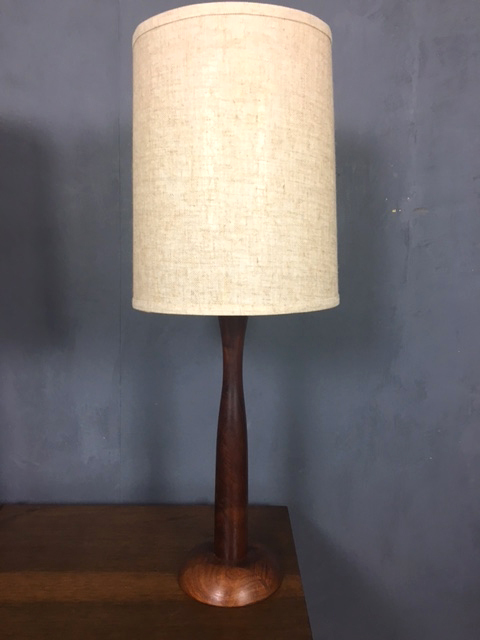 A pair of elegantly simple Danish modern wood table lamps. They still retain the original textured linen shades which are in excellent condition. In good working condition.